Are you tired of being bored on Thursday afternoons? Do you need a fun afternoon with friends to get you through the week? 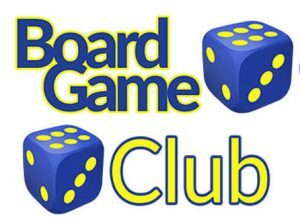 Then come join us at the PTA-Sponsored Board Game Club! Now with LEGOS!!! BENEFITS: Learn to have fun while winning and losing! FEATURING: Strategy Games, Games of Chance, Teamwork, Competition, Sportsmanship, and lots and lots of FUN! NOTE: Students must be picked up promptly at 5:30pm! The scholarship fund allows other HES students the opportunity to experience the benefits of PTA-sponsored clubs and activities. I realize that participation in before and after school activities may involve risk. I give my consent for my child to participate in these activities and I assume the risk. I authorize the instructor is act for me according to his/her best judgment to administer or procure medical attention for my child if s/he is injured while participating in these activities. I understand all personal absences are forfeited. Any classes missed due to school closing will be rescheduled or reimbursed.